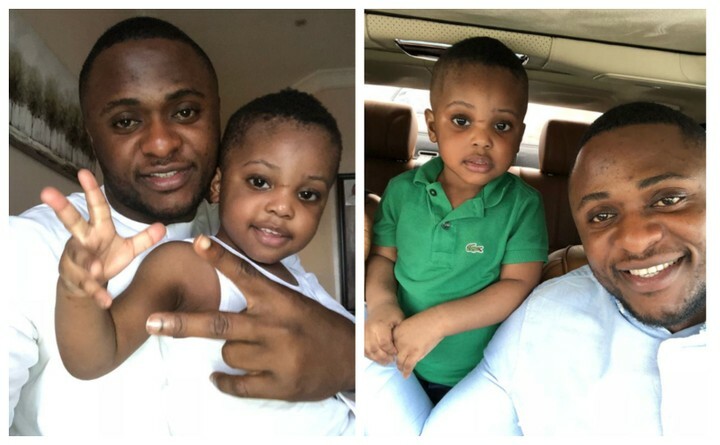 Triple MG boss, Ubi Franklin has revealed he was seriously depressed after his son, Jayden was born in 2016. Recall that not long after he was born, Lilian Esoro took him away outside the country, when their marriage crisis started. 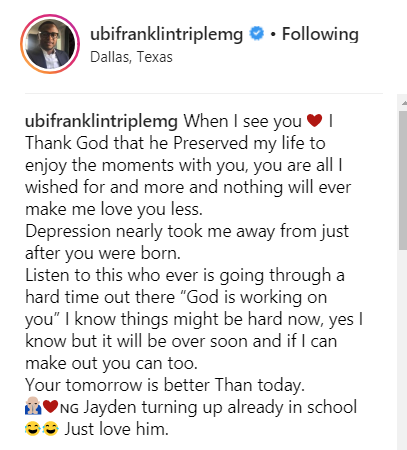 That even got tongues wagging that Ubi wasn’t the biological father of Jayden. “When I see you I Thank God that he Preserved my life to enjoy the moments with you, you are all I wished for and more and nothing will ever make me love you less. Listen to this who ever is going through a hard time out there “God is working on you” I know things might be hard now, yes I know but it will be over soon and if I can make out you can too. Your tomorrow is better Than today. Posted by Mr. Cis on June 11, 2018.